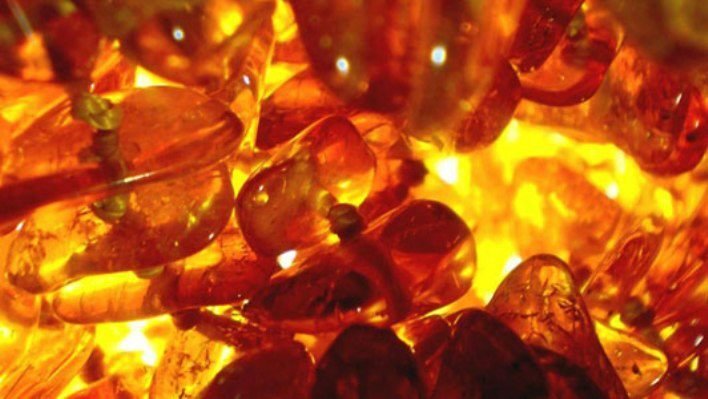 With the aid of our highly experienced professionals, we are instrumental in providing best grade Amber Essential Oil. Amber Oil has a very vitalizing & tonic effect and helps in activating movement of Kundalini & electrical flow throughout the body. The original source of resin from which the oil is processed is a tree related to Jatoba - the Brazilian energy & sexual tonic. Botanical name of this essential oil is Pinus Succinefera Fossil. Uses - It is used in soap making, lotions, diffusers, massage oils, potpourri, air fresheners, scent, body fragrance, aromatherapy products, perfume oils, bath oils, spa's, towel scenting, incense, laundry, light rings, facial steams, hair treatments. Blends With - Geranium, spruce, pine, cedarwood, galbanum, myrrh, frankincense, cypress, aniseed, lemon, clove, orange, rose absolute, cistus and benzoin. Constituents- Calmative, antispasmodic, analgesic, expectorant, febrifuge.